AdventureMaker.com • View topic - Hi! Everyone! / Congrats to reneuend! It's been a long while since I've been on the forums but I am hoping I can start coming by a little more often. I have a lot of catching up to do. Hey, reneuend, congratulations on your new Admin position! Re: Hi! Everyone! / Congrats to reneuend! Congratulations reneuend from me too for the admin position. 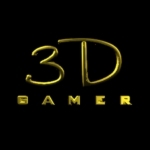 Thanks 3D Gamer!!!! It's nice to hear from you again! I need to update our plugin that we co-authored, AM Journal. It needs to be updated for the latest AM version. I just haven't heard anyone complain yet!